New Valentine's Day cosmetics have been added while server stability issues have been addressed in the 1.03 patch for Apex Legends. The latest update for Apex Legends is now available, bringing with it a variety of bug fixes and item tweaks. The update also serves to kick off the Valentine’s Day event by adding two new weapons skins to the game available from February 13 until February 19. Along with improvements to server stability, Respawn has been responding to comments on the official Reddit post for the patch. In their responses, it’s confirmed that they’re working on additional fixes for Apex Legends that should address other problems that players have been having. For example, the 1.03 patch fixes an issue where friends are shown as offline and unable to party as well as an extended timeout error causing players with slower hard drives to crash. In the future, we hope to see new adjustments to annoyances like the party not ready error which prevents players from matchmaking. In the meantime, patch 1.03 is an awesome start when it comes to fine-tuning an already enjoyable game. To recap everything that was addressed in the patch, we’ve included the full 1.03 patch notes down below with info courtesy of the Apex Legends subreddit. The 1.03 patch for Apex Legends adds new Valentine's Day cosmetics and addresses various server issues. Added "Live Die Live" Banner Badge. Revive a member of your squad between 2/13 and 2/19 to earn this limited time badge. Added Valentines Day cosmetic items including the “Through the Heart” Longbow Epic DMR skin and “Love of the Game” Pathfinder banner frame to the store. These will be live and available in the store starting 2/13 until 2/19 and then they’re gone! After skimming through the 1.03 patch notes for Apex Legends, what are your thoughts? Are you eager to get your hands on the new Valentine’s Day cosmetics, or are you more interested in the server improvements? Let us know down in the comments below! Apex Legends is free-to-play and available on PC via Origin, PlayStation 4, and Xbox One. 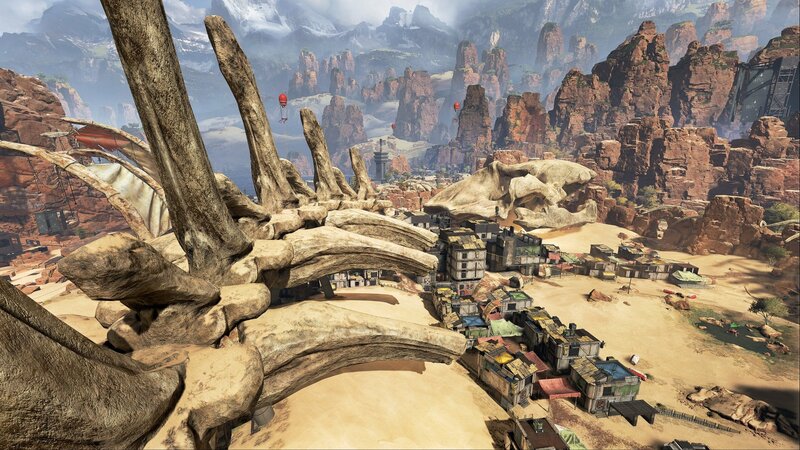 For more on Apex Legends, be sure to check out some of our previous guides including how to play Lifeline in Apex Legends, how to earn XP and level up fast in Apex Legends, and how to track your stats in Apex Legends.